A few weeks ago I got to chat with Vinay Raghu, a user experience consultant who created the podcast, Incremental UX. The podcast focuses on getting beyond just theory and education and gets into the specific “how” of UX. How do you conduct research? How do you identify an audience? How do you create a product roadmap? The idea is that after each episode, you can implement the ideas and actually take action! Storytelling is often cited as a technique for engaging customers. In this episode, we discuss how storytelling is an effective tool for product management. It builds off an article I wrote years ago around, Why We Need Storytellers at the Heart of Product Development. We go beyond the “why” and down into the details of how you can use storytelling throughout the process of creating your product. We also talk about simple ways to gather feedback about your customer’s experience via microfeedback, which I’ve written about before. 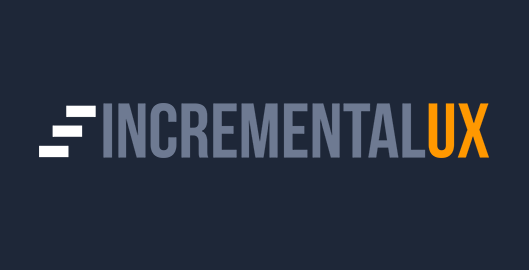 Head over to Incremental UX to listen to my episode!